For the last few months I have been using a new camera backpack for my nature excursions as well as my commercial photography assignments. 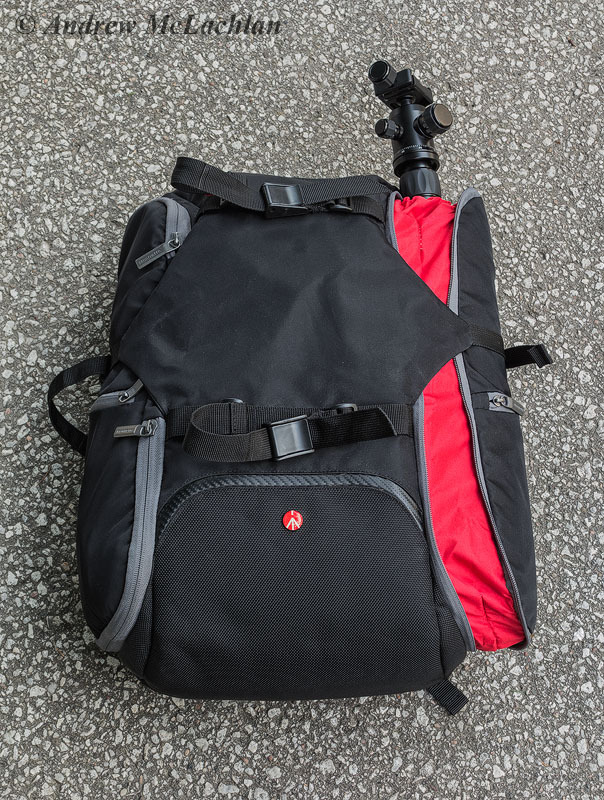 Enter the Manfrotto Pro Light Redbee-210 Camera Backpack. When I head out on a commercial shoot or into the wilderness it is of the utmost importance to me to have two camera bodies and a wide assortment of lenses on hand and ready at a moments notice. 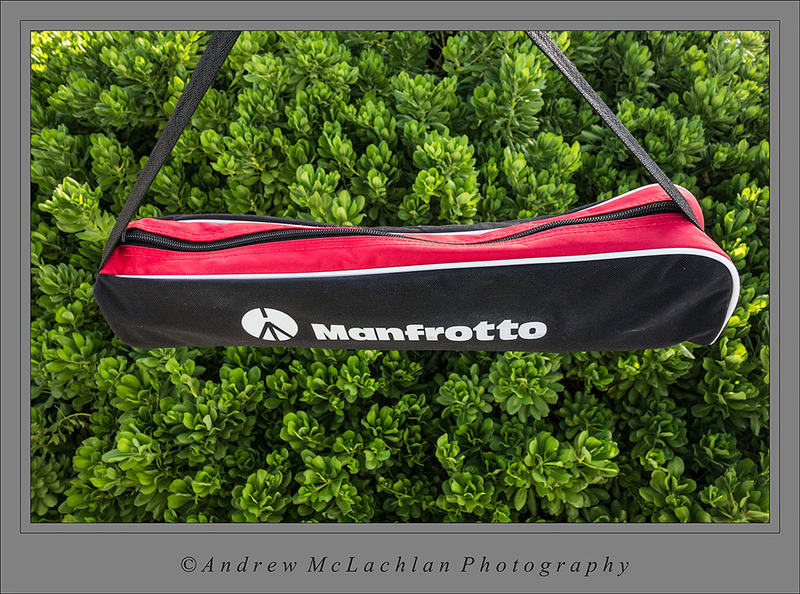 The Manfrotto Pro Light Redbee-210 camera backpack allows me to do just that. I do not normally carry a laptop or tablet with me on single day commercial assignments, but the Redbee-210’s back panel is designed to accommodate both for extended assignment work whereby I would need to carry such devices. Not only have I found the Redbee-210 to be very versatile but it also provides me with the peace of mind that my gear is protected during periods of inclement weather due to the water repellent nature of the specially coated fabric and included rain protector. The flexible dividers to separate and protect the gear are easily changeable to suit the needs of any assignment. The Redbee-210 is also designed to be compliant with standard carry-on luggage requirements (as airline restrictions change this may also change). The main access to the gear bag is accomplished by unzipping the back panel, which in my honest opinion is a design I wish had been thought of sooner. I cannot recall how many I have had to set my bags down in wet, mucky soils. With this new design the back panel stays relatively clean and dry so that it is comfortable to put on again after setting it down. After unzipping the main back panel you will then see that your camera gear is protected by a second zippered mesh system. This is a very nice feature that I have found helps to protect gear from debris during blustery conditions. The shoulder straps are large and well padded for superior comfort and offer a sternum strap which I find invaluable on long hikes for the added comfort it provides. There is also a waist strap that is wide enough to be comfortable. When the need to access gear must be swift there are also three external openings that will allow you to grab your your camera and lens combo very quickly. I have optimized my Redbee-210 to allow me to grab my Nikon D500 with the attached Nikkor 200-500mm lens through the top access opening. When one of those fleeting moments in nature occur I can simply unzip the top opening and pull out the camera and lens combo and am ready for the action. The other two quick access openings are located on each side of the bag, near the bottom. Depending on how you customize the interior of your pack it is possible to have two camera bodies with lenses attached and positioned at a quick access opening giving you speedy access to two separate cameras when the need may arise. The side, quick access opening have both zipperes and quick connect snaps for added security. All zippers on the Redbee-210 also have a pull tab which makes closing the zippers very quick and efficient. In my honest opinion the Manfrotto Pro Light Redbee-210 Camera Backpack is a prime example of quality, durability and efficiency being well thought out and implemented during the design phase of this pack. I am able to carry my gear in total comfort down remote wilderness trails knowing that I am ready for anything at the spur of the moment. The total weight of the gear bag fully packed was 19lbs, which was a tad over the weight requirement for the Twin Otter flight from Grand Cayman to Cayman Brac but the good folks from Cayman Air were fine with me carrying my camera gear with me on the flight. 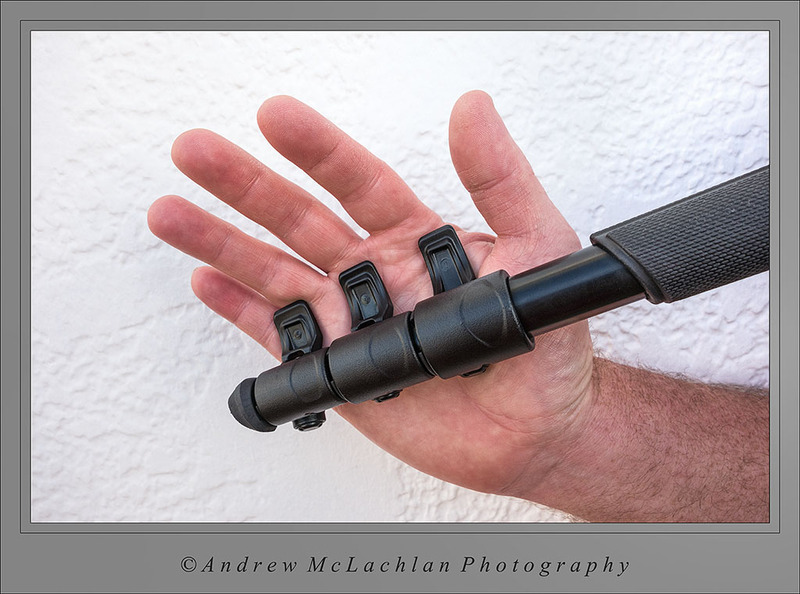 Packed in my checked luggage was my MeFoto Travel Tripod, which was carried in the tripod pocket of the Manfrotto Advanced Travel Backpack once I arrived on Cayman Brac. The water repellent fabric of the pack and the included rain cover came in particularly useful towards the end of my trip as the winds became very strong with 8-10 foot waves crashing into the island’s iron shore causing significant salt spray. It was comforting to know that my gear was safe in the pack when not is use. To read my earlier, in-depth review of this great gear bag please click here. Stay tuned for much more form this beautiful Caribbean island getaway. 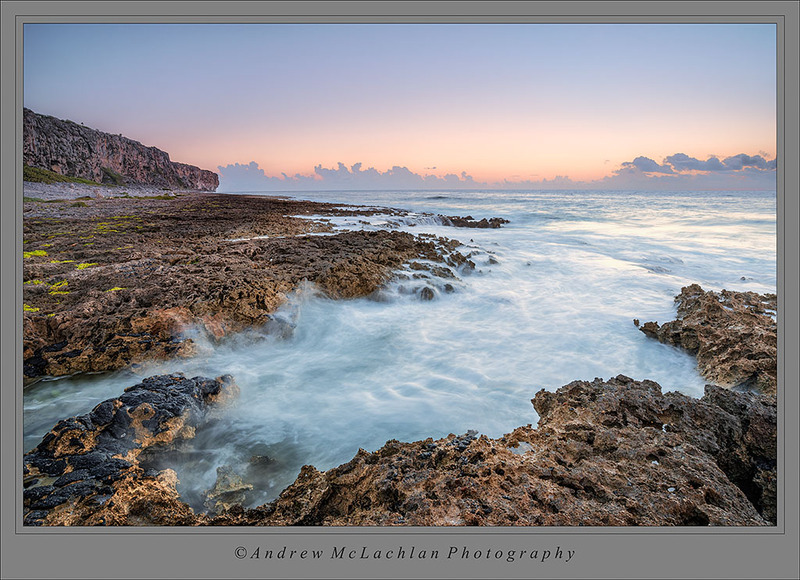 To view a larger and sharper version of today’s featured image from Pollard Bay on the island’s south easterly side please do click on the image. The above photo was relatively simple to create. I used my Nikon D800 with the Nikon 18-35mm lens and a Singh-Ray 3-stop Reverse Graduated Neutral Density filter. All of this was mounted on a Manfrotto BeFree Tripod, which is a great, light weight tripod designed for travel photography. 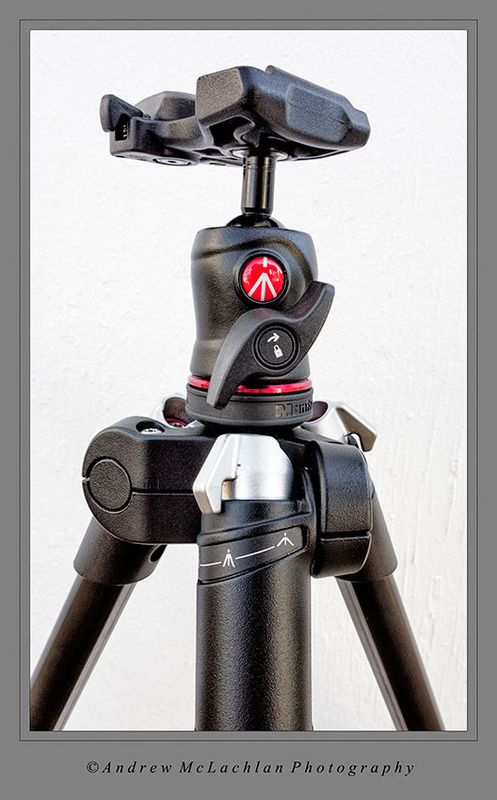 If you did not get a chance to read my review of this tripod yet, please follow this link. I would then await the waves to wash in to shore and then as they retreated back into the ocean I would create the images, until I captured what I considered to be the most pleasing, outgoing wave blur. Please click on the image to see the larger, sharper version. On the morning of February 7, during my two week stay on the tiny island of Cayman Brac my destination was Pollard Bay on the eastern tip of the island, along the south shore. 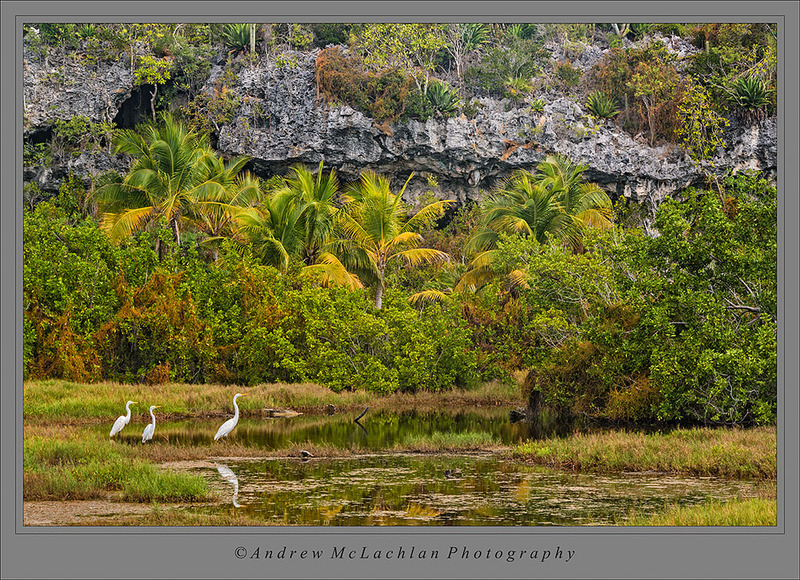 The shoreline here is very rugged and quickly meets the 140 foot bluff that is the spine of Cayman Brac. At 5:00 am I awoke to the sound of the alarm clock, jumped into the rental car and drove east, along the left side of the road 🙂 until I reached the end, which is at Pollard Bay. 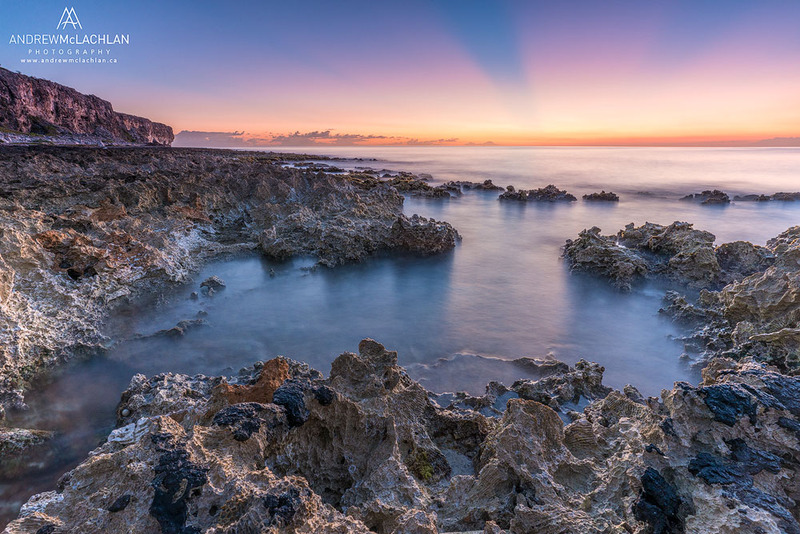 I gathered my gear and walked out across the rugged and very sharp rocky coast to await the rising sun. After a few minutes of meandering around I came upon this indent in the shoreline where the waves were rolling in and out in a pleasing manner. I composed the scene with my Nikon D800 and Nikon 18-35mm lens firmly mounted to the Manfrotto BeFree Tripod, which is an ideal photographers travel companion. I created numerous compositions on this morning and will share more of them with you in a future post, but the image above is my favorite from that morning. 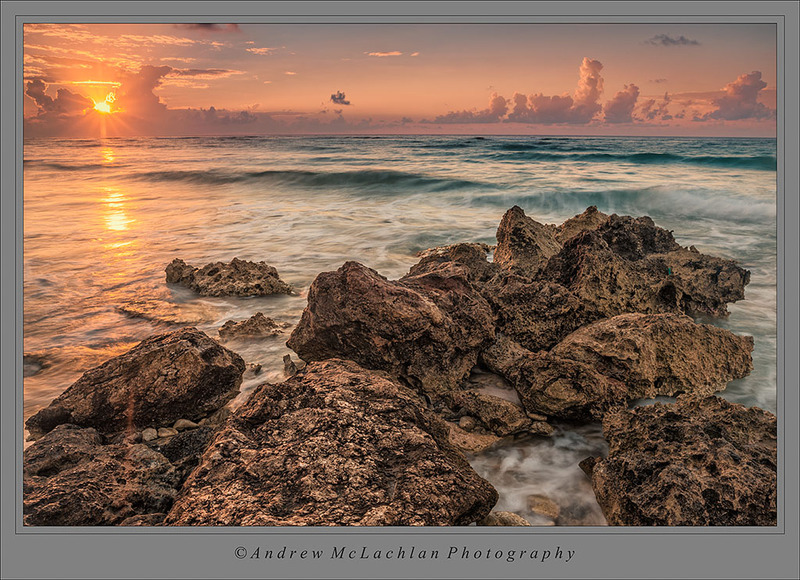 Many of my favorite sunrise images tend to be captured prior to the sun becoming visible on the horizon. For me that is the sweetest light of all. 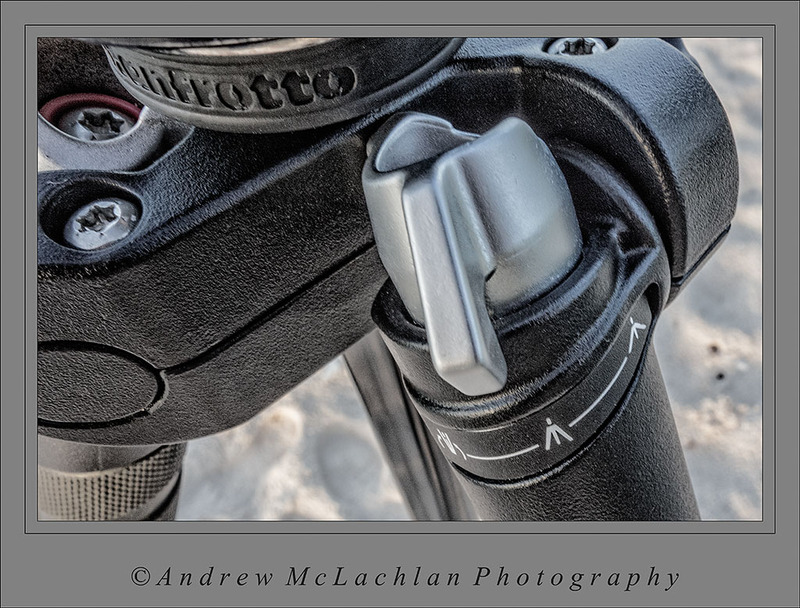 During my recent trip to the Caribbean island of Cayman Brac in the Cayman Islands, Gentect International the Canadian distributor for Manfrotto tripods was kind enough to loan me the Manfrotto BeFree, which is a small lightweight tripod designed for travel. When the tripod arrived at my home just prior to my departing I knew instantly that this lovely little tripod would be perfect for my travels, and throughout my trip I was constantly reminded why having a small light weight tripod is so beneficial for travel. Whether I was using my wide angle zoom or my large and heavy Nikon 80-400 mm VR lens the tripod met my expectations of what should be expected in a travel tripod – lightweight yet sturdy. First and foremost the Befree Tripod comes with an attractive and very useful carrying bag. I would often hang the tripod from the handlebars of a bicycle to ride down the road to nearby photo destinations. The Manfrotto Befree Tripod weighs in at only 3lbs and is 15.75 inches in length when fully closed and boasts a maximum payload of 8.8 lbs. As is the case with most tripods designed for travel it is not overly tall when fully extended. With the center column extended the tripod will reach a height of 56.7 inches and 48.4 inches tall when the center column is not extended. Since I am 6 foot 1 inch I did find this a tad short, but I also much prefer to photograph my landscapes from a lower perspective, so this was not really too big of a concern to me. Also, it should be noted that when any tripod’s center column is extended the stability of said tripod becomes immediately less stable. As a result I was not extending the center column during use, and I would advise strongly that folks avoid extending the center column of any tripod unless they absolutely need to do so. The Manfrotto Befree Tripod comes with its very own mini ballhead incorporating Manfrotto’s quick release system that has been in use for a number of years. 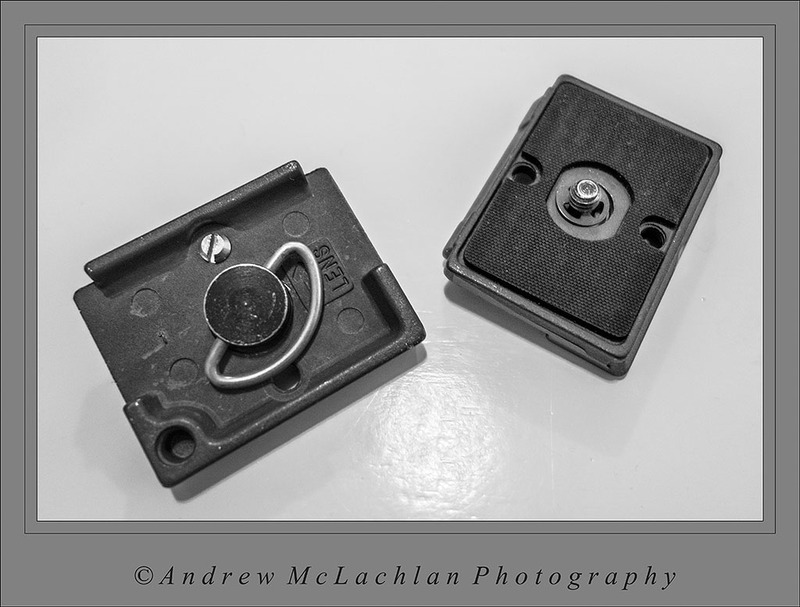 I have found this to be a very functional system that provides the convenience and stability a photographer would need. The quick release plates easily screw into the tripod threads on your camera by means of a collapsible-type of thumb screw and once tightened to the camera you can then tighten a small set-screw to prevent the quick release plate from twisting during use. 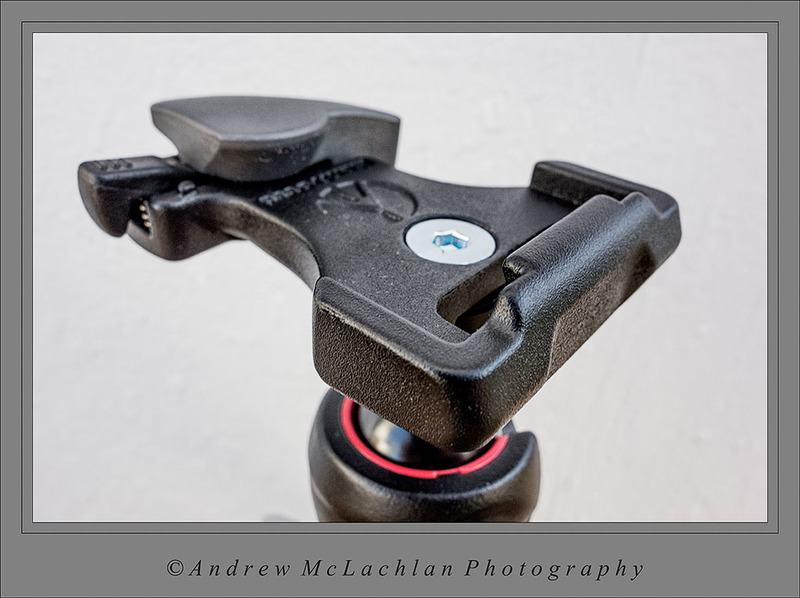 Three features I particularly liked about this tripod were; one of the legs has a rubber section incorporated into it which I found greatly improved the carrying comfort and which would be very handy for use in cold climates. Secondly, each leg has a silver adjustment tab that allows each leg to adjust independantly for use on uneven terrain or to fold it down for storage inside the carrying bag. Lastly, the legs of the Befree are four section legs that are controlled by three lever-type cam-locks. I found closing and locking the levers to be a very simple process, I would loosen each leg-lock, close the legs, and then with one simple motion use the palm of my hand in a rolling motion to close all three of the locks. The leg-locking levers and mini ballhead are protected by misuse from airport baggage handlers due to the manner in which the Befree folds down for travel. The leg-locking levers and ballhead are protected by being positioned inside the sturdy aluminum tripod legs. Below you will see a series of images that better illustrate the fantastic features mentioned above. Please click on each image to see the larger, sharper versions. If you are looking for a small, light weight tripod for your next travel adventure do consider the Manfrotto BeFree. I found it to be an amazingly light, yet sturdy tripod that ensured I was able to create the tack sharp images I demand from my work. This tripod will become my brand new companion for all of my travel photography needs. It has been a most hectic week for me since my return from paradise on the Caribbean island of Cayman Brac within the Cayman Islands. I have been busy sending submissions to clients and preparing my entries for the BBC / Veolia Wildlife Photographer of the Year Competition, which closes on February 27th. 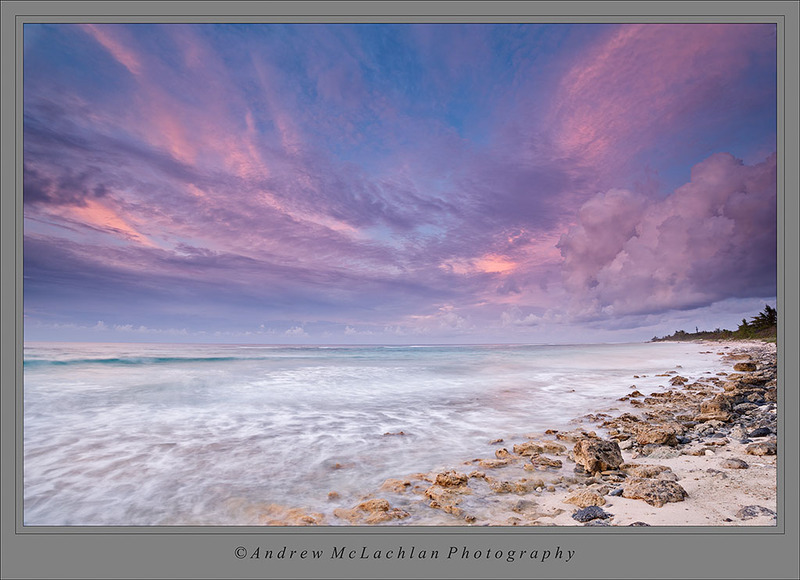 I held off on entering any images until my return from Cayman Brac as I felt the island held many great possibilities for imagery that would be worthy of entering into this year’s competition – I entered 6 images from my recent trip into the contest. Each and every morning I would set the alarm to wake me about forty-five minutes before sunrise. I would then walk down to the beach and commence capturing numerous sunrise images. When photographing sunrise scenes it is always a best practice to get into the habit of looking behind you to see what is going on in the western skies, as I did on the morning I created the above photograph. 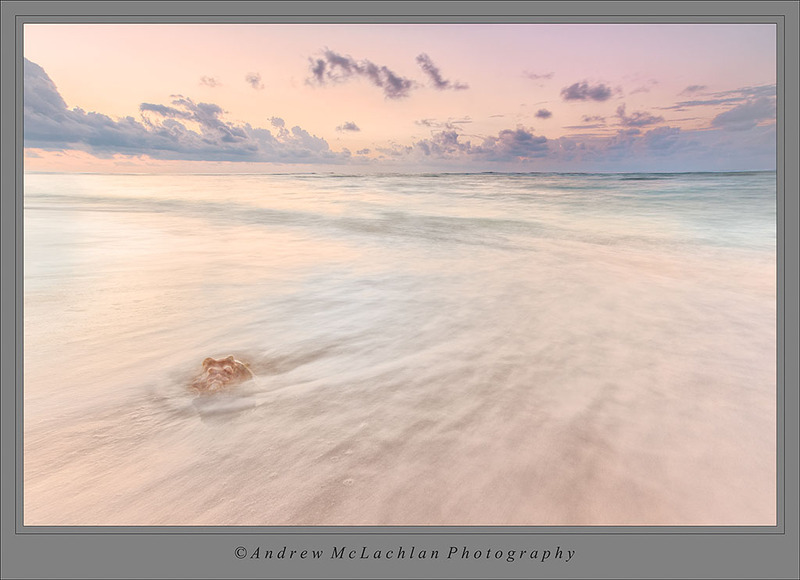 To accurately record the lovely pinkish tones I use my Singh-Ray 3-stop Reverse Graduated Neutral Density Filter and because I was photographing at daybreak just before sun-up my exposure was long enough to pleasingly blur the ocean waves. 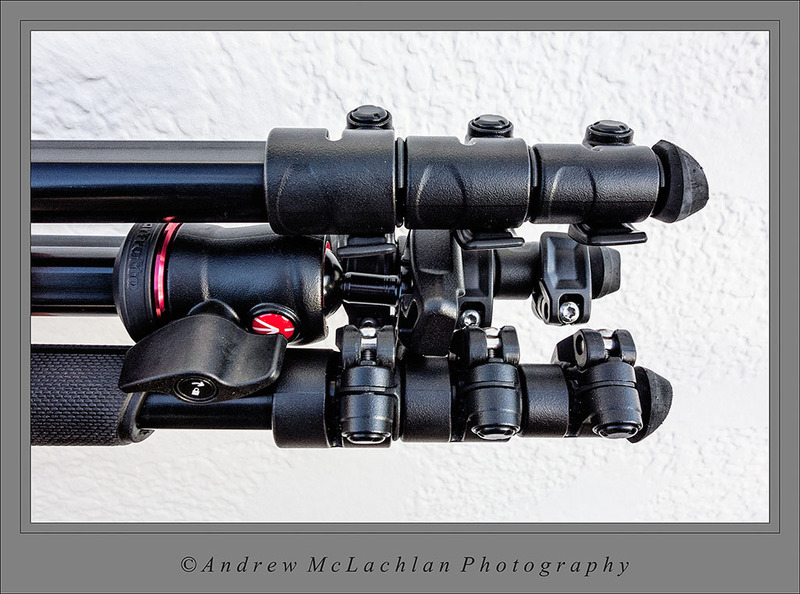 During my trip to Cayman Brac I really wanted to travel as lightly as possible, which was made possible by Gentec International the Canadian distributor of Manfrotto Tripods. 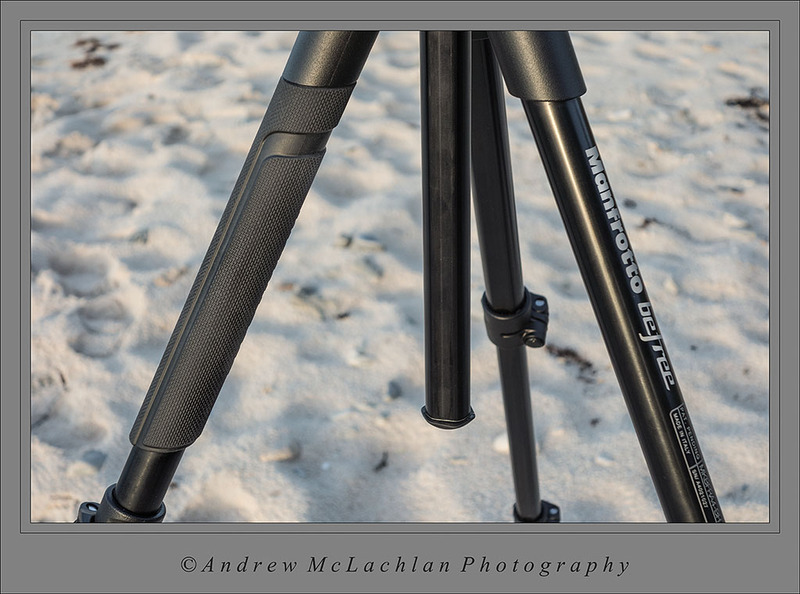 Gentec was kind enough to loan me the new Manfrotto BeFree Tripod for my trip to Cayman Brac. Please keep an eye open next week for my full review of this wonderful tripod that makes traveling a breeze. Do remember to click on the image above to see the larger, sharper version.